Sie haben eine Frage zum Little Beach Hoi An . A Boutique Hotel & Spa? Die in der Region Cua Dai überaus günstig gelegene Unterkunft "The Beach Little Boutique Hotel & Spa" ist die ideale Basis, um in Hoi An auf Entdeckungstour zu gehen. Lediglich 5 km vom Stadtzentrum entfernt, genießen Sie hier die Attraktionen und Sehenswürdigkeiten der Stadt. Aufgrund ihrer günstigen Lage bietet die Unterkunft den perfekten Ausgangspunkt zu den wichtigsten Attraktionen, die man gesehen haben muss. Die Unterkunft scheut keinen Aufwand, es den Gästen so bequem wie möglich zu machen. Die Dienstleistungen und Einrichtungen der Unterkunft gehören zu den klassenbesten. Eine Auswahl an erstklassigen Einrichtungen, darunter Gratis-WLAN im Zimmer, 24h-Zimmerservice, 24h-Sicherheitsdienst, tägliche Reinigung, Souvenir-/Geschenkladen und viele weitere, stehen Ihnen zur Verfügung. Die Unterkunft "The Beach Little Boutique Hotel & Spa" verfügt über 106 Zimmer. Alle sind geschmackvoll eingerichtet und für höchsten Komfort mit Flachbild-TV, Teppichboden, Wäscheständer, kostenloser Instantkaffee, kostenloser Tee und weiteren Einrichtungen ausgestattet. Egal ob Sie ein Fitness-Liebhaber sind oder nach einem langen Tag einfach nur abschalten wollen: Die erstklassigen Freizeiteinrichtungen wie Privatstrand, Fitnesscenter, Außenpool, Spa, Massage usw. werden Ihnen gefallen. Die exzellenten Einrichtungen und die fantastische Lage machen das The Beach Little Boutique Hotel & Spa zum perfekten Ausgangspunkt für die Erkundung von Hoi An. Kinder von 2 bis 5 Jahren übernachten kostenlos in vorhandenen Betten. Kinder bis 1 Jahren übernachten kostenlos, sofern ein Baby-/Kinderbett genutzt wird. Kinder zwischen 6 und 11 Jahren werden mit VND 200 000 pro Kind und Nacht berechnet, wenn sie vorhandene Betten nutzen. Pro Zimmer kann maximal 1 Zustellbett untergebracht werden. Der Aufenthalt war sehr angenehm. Das Hotel hat eine gute Lage. Auf Grund des kostenfreien Shuttlebus und des Fahrradverleihs könnte man die Sehenswürdigkeiten in der Nähe problemlos besichtigen. Das Hotel ist klein, aber fein. Das Zimmer in dem ich übernachtet habe, war sauber und komfortabel. Das Bad (inkl. Dusch- und WCbereich) waren modern und hygienisch rein. Es gab jeden Tag frische Handtücher. Mein Aufenthalt beinhaltete Frühstück. Es gab jeden Morgen frisches Obst, welches zum Teil auch variierte. Zudem gab es ein Angebot von vietnamesischen und europäischen Köstlichkeiten, teils warm und teils kalt. Auch frischgepresste Obstsäfte und Kaffee gab es. Das Personal, sowohl an der Reception, im Spa-Bereich und auch das Reinigungspersonal waren sehr freundlich. Man konnte bei Fragen jederzeit das Hotelpersonal zu Rate ziehen. Der Poolbereich ist klein, aber völlig ausreichend um ein paar Runden im Wasser schwimmen zu können. Auch hier war alles hygienisch sauber. Positiv überrascht. Die bisherigen Bewertungen haben fast zu gut geklungen. Aber wir es gebucht und fanden es wirklich perfekt. Das Wetter (rd. 27 Grad bei viel Regen) ließ keinen Badeurlaub zu und es zeigt die Stärke des Managers; Paul war gestern noch als "Gondoliere" in der Altstadt unterwegs um Gäste vom Stadthotel zu evakuieren. Das Hotel ist gut gelegen; innerhalb von 10 Min. Fußweg sind einige "Restaurant" zu finden. Die Zimmer sind sehr schön und das Bad ist erstklassig. Ganz nettes und hilfsbereites Personal und auch das Frühstück ließ keine Wünsche offen. Wir würden uns freuen, wenn wir wieder kommen dürfen. würden auf jeden Fall wiederkommen! The staff & breakfast were the highlights. Service was exceptional. Can’t remember everyone’s names (unlike Sophie who called us by our first names each time we saw her) but we felt like they genuinely wanted us to have the best experience possible. Breakfast buffet had so many different choices, something for everyone...Western, local and Mediterranean each morning. A couple of new options every day. Location is good, but not perfect. Hotel’s beach & town of Hoi An are a few kilometers away (we knew that going in) but they have a free shuttle or bicycles. We used the bikes to go both places daily. Once you’re used how the locals drive/ride you’ll gain confidence and fit right in. That said, keep you head up as stop lights seem to be optional. Hoi An is a must. We were there during Tet (their new year) & the town was lite up with lanterns & the everyone was in a festive mood. Great fun! Cons-my massage wasn’t the best, a bit scratchy. We’d stay there again & hope too! Loved Hoi An! We loved our stay here and didn't want to leave. Staff was amazing and so attentive to our needs. Sophie in particular went out of her way to ensure we have the room we love. Breakfast was fabulous with lots of variety. We highly recommend and will definitely return. My sister and I stayed at Little Beach Hoi An for a week and it was a glorious week. The hotel itself is modern and clean, and the facilities met all our needs. There was a gym with good equipment, a nice pool area and the hotel was close to the beach with easy transport into Hoi An Old Town. The staff were sweet and attentive and quick to offer their assistance when we required it. The buffet breakfast was also fantastic with food to suit all palates and tastes. I would absolutely recommend Little Beach Hoi An, and if I were to ever to return to Hoi An, I would definitely stay here again! 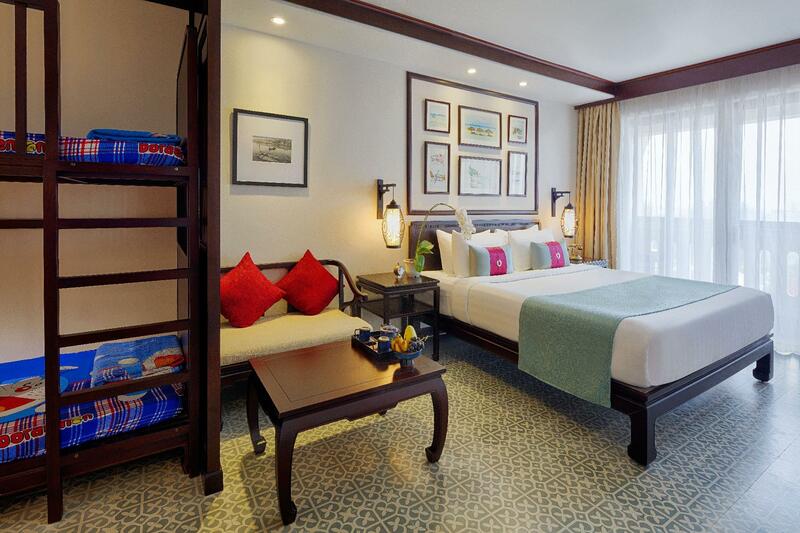 Simply delightful choice for the traveller who wants a comfortable and well serviced hotel after a day of adventure. Fantastic facilities across from the beach with guests available to access the beach club across the road and also at An Bang. 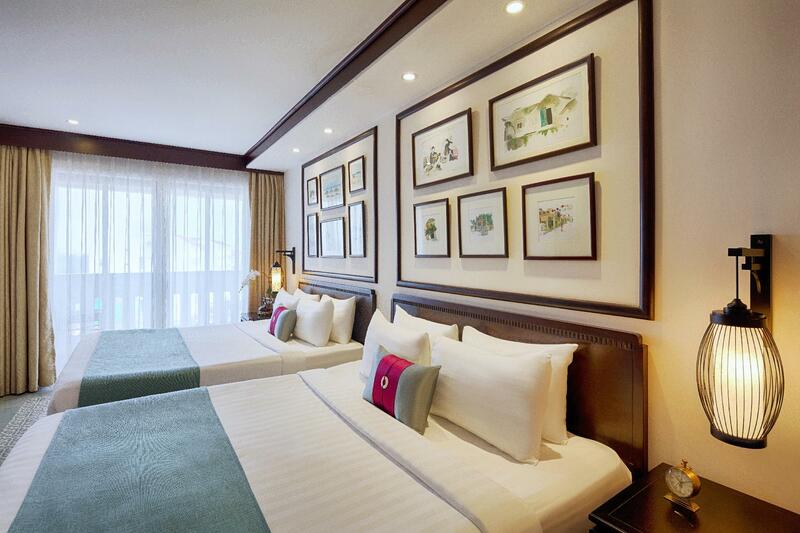 Rooms are spacious and beautifully serviced daily. Great buffet breakfast! The staff are wonderful - extremely helpful with some great suggestions. The hotel provides a regular shuttle service to Old Hoi An which is wonderful to visit in the late afternoon/early evening. Loved the location, the service and the facilities! Hotel was so lovely and there was a good selection of food choice for breakfast. The rooms were serviced everyday. It was the friendliness of the staff that make this hotel better than so many others. They go out of there way to welcome you and were exceptional. Our only concern was that before we left the receptionist came across and asked us about the whereabouts of one of the kiminos missing in our room. This was unprofessional as the question was asked in front of another guest. We had not taken it, as the cleaning staff had removed. But other than that, we really can highly recommend the hotel to anyone considering a stay. We unfortunately got hit with a storm everyday we were there so didn't get any beach/pool time which is what we booked the location for however the facilities looked nice. The hotel staff were excellent and very lovely to our young daughter. The hotel itself was cute and quaint. My one negative was our room was the noisiest hotel room I have ever stayed in, we could hear everything from the rooms above us and in the hall way, it was also located next to the cleaners storage which we later discovered so in the mornings it was so noisy in the hall way with the cleaners getting prepared for the day, it literally sounded as though they were in our room. 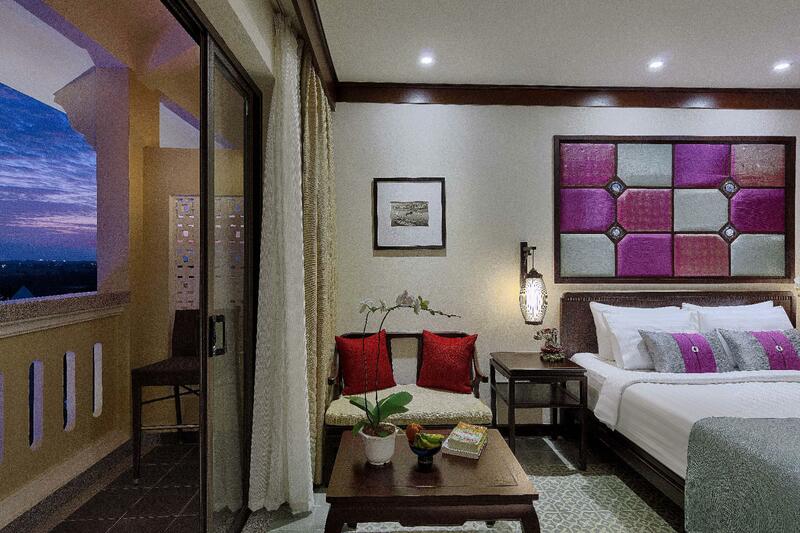 The little boutique hotel is the perfect spot for a romantic holiday to Hoi An. The hotel is beautifully decorated, has great facilities (spa&gym) and the breakfast buffet is delicious. Staff is friendly and enthusiastic! Conveniently located near the ancient town by taxi/shuttle bus and a step away from the beach. You have access to a beach front pool and beach club, swimming pool and a beach lounge at the popular An Bang beach. We are at the halfway point in our 7 month SE Asia trip. We needed downtime. We were looking for somewhere nicer to settle in for awhile. Initially it was going to be one week. We liked it so much we extended for a second week. We are budget travelers and yes this is a little above our buget but we can make it up later. We were met by wonderful Minh who helped us throughout our stay. What an angel she is. Friendly, helpful, direct, and well spoken. Our room was great and really wasn’t missing anything. The reception staff was constantly helping us with a smile and good cheer. The bellman is a gem. The Neach has a shuttle to take you to the beach or old town. The breakfast buffet is the best blend of East/West we have seen. Did I mention that Minh was magnificent . She isn’t the only one. Though to many to name Thuy is tremendous and Rose is rockin great. No question about it. Stay here. excellent hotel with reasonable price. got a free upgrade to ocean view deluxe. As some people mentioned, their ocean view rooms face the road, but it is not noisy at all. just a 2min walk to the beach, and they have free shuttle bus to the ancient town and An Bang beach, so you have easy access to almost every place you are interested in Hoi An. Breakfast is excellent, and staff are very well trained, feel like more than five star service. Comfortable in almost every way and the price is pretty acceptable. Will definitely come back next time I visit Vietnam. Great beds, great staff, awesome choice for breakfast, lovely ambiance, free shuttles to the old town. Nice pool. Gym, lovely looking hotel. Service excellent very clean and comfortable and above all the staff are excellent.